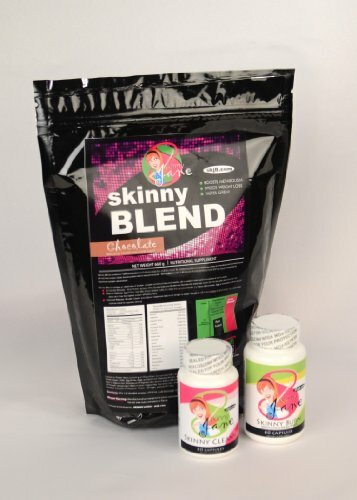 Skinny Blend is a great tasting weight loss shake designed for results. It contains a special blend of ingredients to help you lose weight and feel satisfied. Suggested use: Drink 1 to 2 Skinny Blend Shakes a day for best results. Skinny Burn is safe and effective. You will have more energy, you won't crave carbs, and your body will start burning fat! Suggested use: Take 1 capsule with 8 oz of water 15-30 min before bed. If 1 capsule is tolerated well, you may take 2 for a stronger cleanse. This is a very effective cleanse, so always start with 1 capsule to see how it affects you. We recommend trying TKO Weight Loss Tea to further reduce cravings, feel better, and get faster results. Order on Amazon with code TKOTEA15 for 15% off! If you have any questions about this product by Skinny Jane, contact us by completing and submitting the form below. If you are looking for a specif part number, please include it with your message.